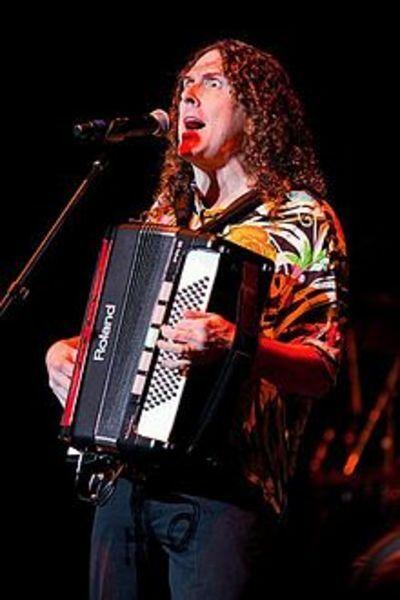 I love "Weird Al" Yankovic and find his music and pop culture parodies hilarious. He has a career spanning 3 decades, it is amazing to me that I enjoyed his music as a kid and now my children do the same. In 1989 Yankovic starred in a comedy film titled UHF. The title was changed to The Vidiot From UHF for release in Australia, New Zealand and Europe. The movie is very reminiscent of the 80's and features a few spoof scenes from popular movies at the time such as Close Encounters of the Third Kind and Raiders of the Lost Ark. Have you seen UHF? If so did you like it? I loved this movie! My favourite seen was Rambo parody...I haven't seen UHF in years. Wow, thanks for the nostalgia hit Thrifty! You are very welcome! The Rambo scene was pretty funny, my favourite part is the Dire Straights parody! I love Weird Al's songs too, but I never knew he did a movie. It is a funny movie, though if you are not familiar with the 80's references it might not be as amusing! Yeah, I wasn't around in the 80s, so I probably wouldn't get a lot of the stuff. I think this movie is awesome. It was a favourite of mine as a kid, and I re watched it recently and it was as funny as ever! Not seen it but I love Weird Al - he's so clever!